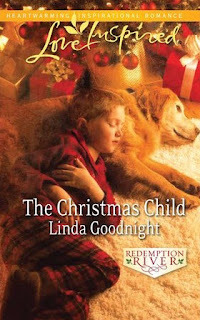 Linda Goodnight is the author of heartwarming, inspirational romance novels, including her latest, THE CHRISTMAS CHILD. Linda has won the RITA Award for excellence in inspirational romance. Visit Linda online at www.lindagoodnight.com. Linda, I love Christmas romances! Reading them is one of my favorite ways of getting into the holiday spirit. Would you please share the back cover blurb of THE CHRISTMAS CHILD? A young boy is found huddled in a Dumpster in Redemption, Oklahoma, hungry, dirty and clutching a Christmas book. The scared, mute child captures Kade McKendrick’s guarded heart, and the undercover agent is determined to find answers. All he has is a name-Davey-and the boy’s trust of teacher, Sophie Bartholomew. As Christmas draws near, can sweet Sophie help the battle-scarred cop and the silent boy learn to smile-and maybe even to love-again? 1. Share a random happy memory from childhood. Let me tell you a story about a book, a mulberry tree, and a mama hog named Sally Ann. I have always been a bookworm and one of my secret escapes from two brothers was to take a book, hide somewhere on the farm and read all afternoon in peace and solitude. Sometimes I hid in the peach orchard and sometimes in the barn loft behind stacks of peanut hay with the barn cat, Bright Eyes. But this particular day I headed for the mulberry tree to indulge my taste buds in the sweet, ripe berries while I indulged my imagination in a book. Everything went well that afternoon until my book ended and I was ready to climb down. You see, I’d forgotten one thing. The mulberry tree was inside a fence—a fence which happened to house a large Poland China sow and her six piglets. (To a nine year old she looked enormous.) Sally Ann was known to have a fierce temper but at the time I’d climbed up the tree she was nowhere around. Now, as I descended she spotted me and came squealing with jaws agape and evil intent. After scrambling back up, I hovered in the branches for a while and then tried again. Sally Ann was not to be challenged. She charged. I retreated. This went on for some time until I gave up the battle and decided if I was destined to die of old age in a mulberry tree at least I wouldn’t die hungry. After what seemed like hours, Sally Ann lost interest and wandered far enough away for me to escape. Now, you’re probably wandering why that’s a happy memory. Truthfully, I don’t know why, but it is. I loved those lazy, innocent childhood days on the farm. 2. What kind of commercials make you cry, if any? My family claims that I cry at anything-which is pretty much true. I am painfully sentimental which means sweet Christmas commercials from Hallmark and the Budweiser Clydesdales get me every time. I particularly love commercials where someone returns home after a long absence, especially if the returnee is a soldier in uniform. The minute I see him walking up to the door with that duffel bag in tow, music playing in the background, snow on the ground and a wreath on the door, I’m sniffling. I also get teary at commercials where the father of the bride fights emotion as gives his little girl away. Though I never remember what they’re advertising, I love those moments. Don’t you? 3. In what ways do you relate to the heroine of your latest book, and how are you different? The heroine of THE CHRISTMAS CHILD, Sophie Bartholomew is a fifth grade teacher who loves Christmas, kids and baking cookies. That description fits me too, though I’m no longer teaching. We’re also both small town girls, but the similarities end there. Sophie is the eternal optimist, a character trait I envy but don’t have. She has a big, sweet smile and is a doer who thinks she can make the world a better place by giving to others. I wish I was more like her! It seemed only fitting that I share a cookie recipe that Sophie and her students would make for their annual cookie sale. These are a light, sweet chocolate just perfect with a glass of cold milk. Preheat oven to 350°. Cream the butter and sugars. (I use a mixer.) Beat in the egg, chocolate, and vanilla. Mix in flour. Add the peanut butter chips and if desired, the nuts. Drop by teaspoonfuls onto lightly greased or sprayed baking sheet. Bake for 10 to 12 minutes. These cookies look completely delicious and wonderful! Can't wait to try out the recipe. Thank you again, Linda, for visiting here today! I'm saving this recipe Linda. Yummm! Wonderful post and the book sounds heart warming. I love your books. This sounds like a wonderful story! Thanks for sharing the delicious recpie too. Oh, yeah, I have to look at this just before lunch. And what a lovely sounding book and the cover is excellent. Those cookies look yummy! I'm going to make these cookies for my Daughter and Grandkiddies when the arrive on the 29th of this month!! Looking forward to reading The Christmas Child! I'm sure this book will make me cry. I'm like Linda, I cry a lot! I thought I was the only one who cries during certain commercials! I'm glad that God gave me a gentle caring spirit! I've battled with Blogger all day to get in here. Thanks to everyone for stopping by. Eva Marie, I'm playing Christmas music to get in the mood for another Christmas book I'm writing. Maybe I need to put the tree! Thanks to you and all who've complimented the cover. My publisher did a good job on that one. 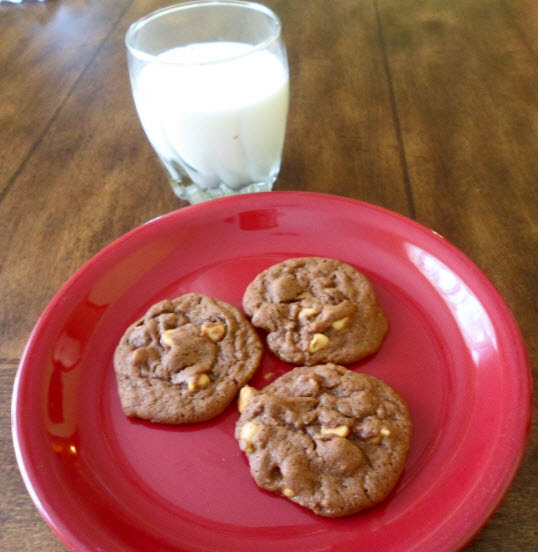 Janet, I love baking cookies with my granddaughter-some of fondest memories are with her and cookie dough. Hi Calisa, I hear you won a Kindle! You go, girl.